Why Use a Dry Bag? The following is a guest post from our friends at Duc-Kit Pro. 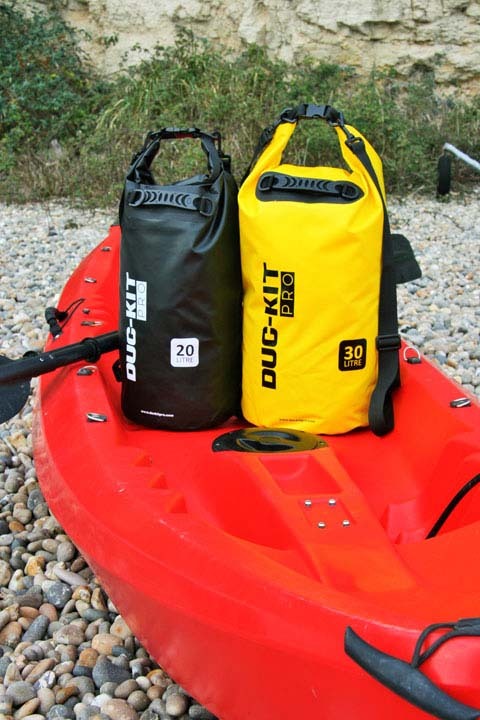 Nature Travels guests receive a discount on Duc-Kit Pro products, which are ideal for water-based activities such as our canoeing, kayaking or timber rafting tours – please see your booking documentation for details. The million-dollar question – when should I use a Dry Bag, and does it matter if I don’t? 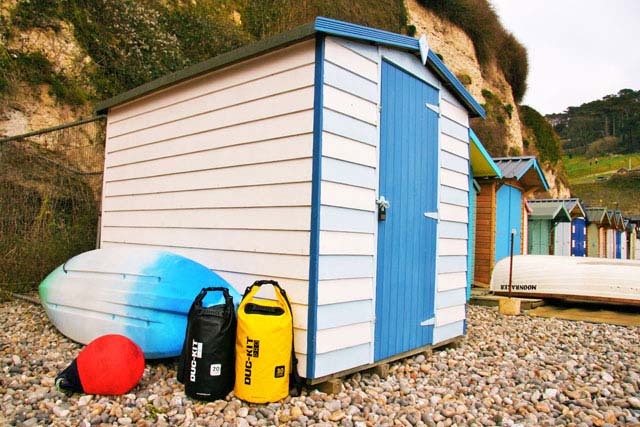 The answers to these seemingly inoffensive questions are, Always, when you are going to be on or near the water, and Yes it matters – nobody likes wet kit! So, what do I use my Dry Bag for? Well, a hundred and one useful things can go into your Dry Bag, but for now let’s keep it on a simple level. The things that matter. Most to you can go into a Dry Bag. These range from a change of clothes, electronic devices, mobile phones, keys etc. to your emergency items in the event of a disaster. Can you imagine a worst-case scenario where you don’t have the items you need close to hand, protected from water ingress and scattered with your other belongings? Doesn’t sound good does it! Let’s think about a 1 or 2-day trip on the water, either canoeing or kayaking. We want our change of clothes to be dry, any snacks or supplies to be dry and most importantly any medical items protected from the wet and damp. 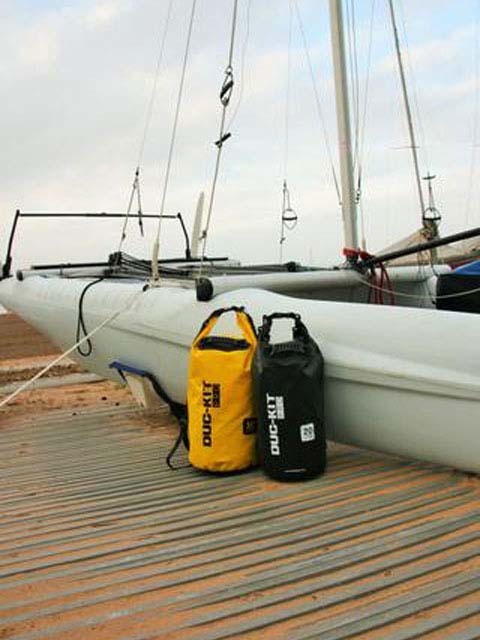 Dry Bags come in many size ranges, all of which have a place in your kit line up. 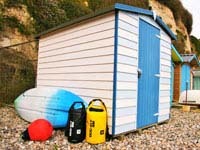 We recommend having at least 1 of each, of a 10 litre, 20 litre & 30 litre size. Your personal pack style and trip duration will inform you of the choice to make. Always wrap sharp items in clothing or tuck them in a deck shoe – puncturing from the inside is unfortunately to common! Sailing, Kayaking, Canoeing, Diving, Wind Surfing, Surfing & any paddle sport. It’s quite a broad list, but the commonality arises with water. If you have the option to get wet, you need a Dry Bag. Personal experience, unfortunately, tells us that driving home in wet clothes is unpleasant at best. So which is the best Dry Bag? If you choose a lightweight Dry Bag instead of a Premium Dry Bag you may also know what it’s like! Typically, Premium Dry Bags are made of 500D Lined PVC Tarpaulin, being heavy duty, robust and easy to maintain. Lightweight versions serve a different purpose and are typically manufactured of Nylon fabric. The closing system often seems to provoke some areas of consternation. The answer to gain maximum effectiveness is to do the following. Pull the top stiffening blades together, ensuring nothing protrudes. Hold the 2 ends and cross over the top of the bag then snap together the plastic fittings. This roll top gives the most effective seal for Dry Bags in use, giving a moderate amount of buoyancy if dropped into water. DO NOT CONFUSE A FLOATING DRY BAG WITH A BOUYANCY AID. Many claims are made about the standard to which Dry Bags are held accountable. Do not be fooled – Dry Bags are 100% waterproof when used to the manufacturers guidelines. 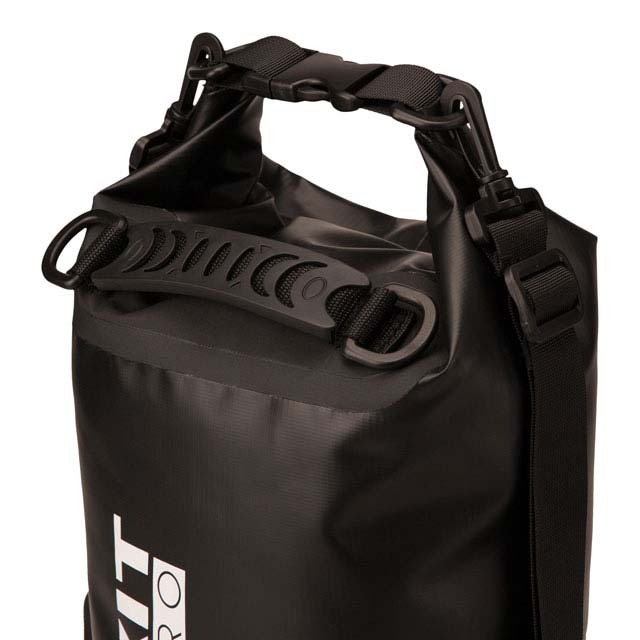 Typically, a Premium Dry Bag will meet an IPX6 or IP66 standard meaning they are ‘Protected against heavy seas – Water projected at all angles through a 12.5mm nozzle at a flow rate of 100 litres/min at a pressure of 100kN/m2 for 3 minutes from a distance of 3 meters.’ The addition of the other ‘6’ means that the Dry Bags will equally prevent ingress from dust, dirt or sand. 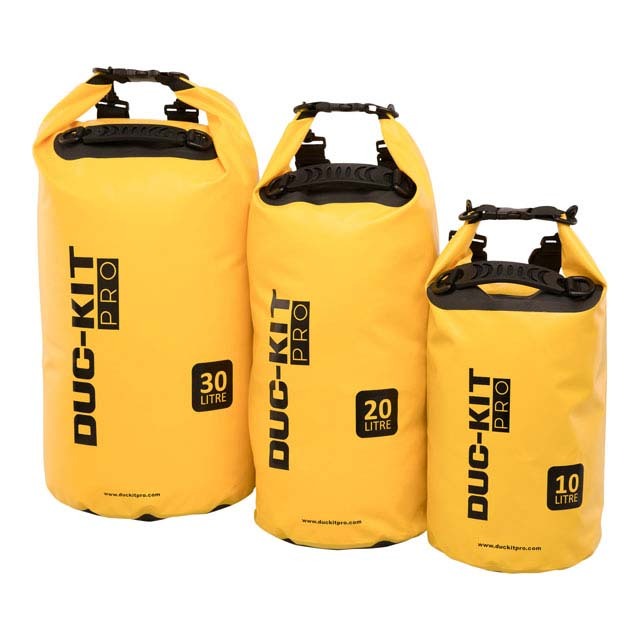 Duc-Kit Pros Premium Dry Bags meet the IP66 standard. Please always check or ask. Check out our range – we stand behind our products and are confident enough to offer a lifetime guarantee, see here for details. Happy paddling, sailing, surfing or diving!